Solutions | SensorData Technologies, Inc. Throughout the years, SensorData Technologies has provided its customers with a wide range of standard, custom and application specific sensors & instruments. Our combination of sensors, software, and electronics products delivers an innovative and real-world result in a one complete package. At SensorData Technologies Inc., we thrive on innovation. 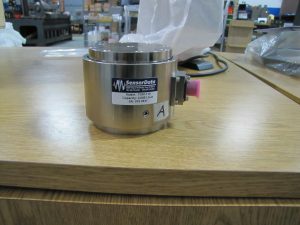 Having been constantly approached with requests for custom measurement sensor designs allowed us to collaborate with universally recognized industry names across the board. We welcome the challenge that each force sensor and/or load cell demands. 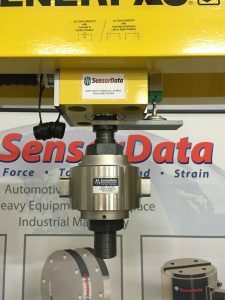 Whether you need a simple sensor solution or an entirely new idea, the research and development team of SensorData Technologies Inc. has not backed down from a task since 1992. All of our sensor solutions are designed and manufactured in-house at our warehouse facility headquarters in Shelby Township, Michigan. Our sensors also come with warranties and are fully traceable to NIST. While we do offer standard sensor solutions, many of our clients work in conditions that require some ingenuity regarding design. For over two decades we have specialized in custom measurement sensor development. Clients spanning sectors, like automotive, aerospace, medical, civic, government and more, approach our research and development team with ideas we transform into reality. Our dedication to our customers is what sets us above the competition. You will be informed of progress every step of the way. We believe that maintaining a constant stream of communication is vital to the success of any project. We are always receptive to your comments, questions and concerns. When you enlist the help of SensorData Technologies Inc. you get more than just the finished product. You get an experienced research and development team that acts as an extension of your engineering staff. Issues have always been prevalent throughout the measurement sensor realm. While some complications are less common than others, if you study them long enough you will begin to notice a pattern. The combined years of experience shared between members of our research and development team allows us to diagnose your situation promptly and offer a detailed sensor solution in response. Chances are that we’ve seen and solved an application similar to the challenge you face. In the event that we have not encountered your situation, we will remain dedicated to developing the exact sensor solution you need. Browse some of the custom sensor solutions we’ve created over the years. If you cannot find a product suitable to your needs, then call us at 1 (586) 739-4254 or fill out our free online quote form to get started on your custom measurement sensor today!